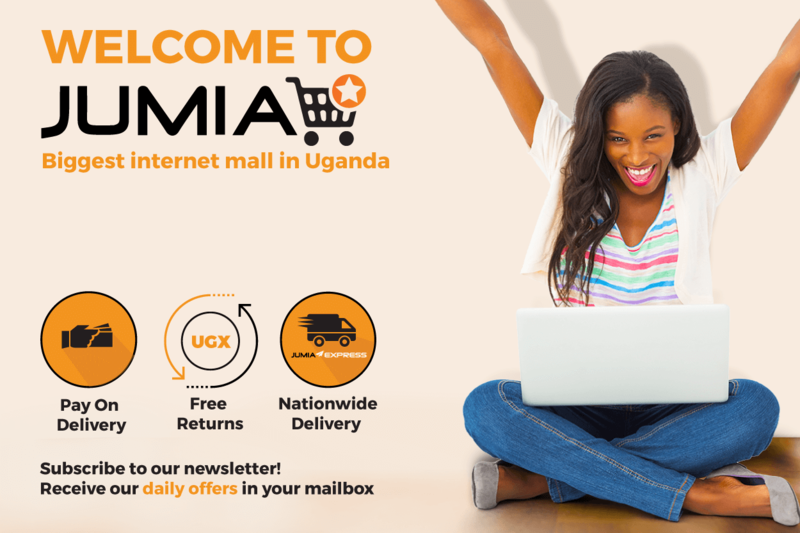 Jumia Uganda prides itself in being at the forefront of not only offering Ugandans unprecedented services in the e-commerce space but also, presenting unique insights into key trends of Mobile penetration in Uganda and the impact of the landscape to the digital industry. It’s in this discourse that we are proud to announce the launch of the 3rd White Paper, giving detailed insights into the impact mobile has had on Internet penetration in Uganda, the behavioral change of our customers and what this has taught us. With the Ugandan population currently standing at 44.5 million and an average age of 16 years,Uganda is positioning itself as a country with a much younger population compared to the rest of Africa that is currently at 1.3 Billion with an average age of 20 years. As the country’s digital economy continues to spur, the average Ugandan consumer is increasingly getting connected, with 42% of the population in Uganda now connected to the Internet (19 million). Mobile subscription penetration is at approximately 80%, with 25 million Ugandans owning a mobile device, a factor that has continued to shape and make the landscape competitive. After the infamous Social Media Tax, a survey done by Whitehead Communications reported that the number of social media users dropped to 85% and those who reported as using social media since the new tax was introduced: 40% said they paid the OTT tax; 57% were using VPN; 38% were using WiFi/Hotspot(s) and 3% selected “other”; many used multiple methods. Of those paying the tax, 86% paid for themselves, while 3% were paid for by an employer, 3% by family, 3% by a spouse, 3% by other and 2% paid for by a friend. Respondents reported using the following social media platforms (selecting all that apply): 98% use WhatsApp, 92% use Facebook, 69% use Twitter, 62% use Instagram, 36% use LinkedIn, 30% use Skype, 24% use Snapchat, 21% use Google Hangouts, 12% use Telegram, 4% use Tinder, 6% “other” and 3% use 360 Chat. Currently, the number of social media users in Uganda stands at 2.5 million, with a 5.6% penetration of the total population. Smartphone penetration has steadily increased across the country, and so has the usage tremendously soared. In the larger African continent, smartphone adoption was recorded at 36% penetration rate, equating to about 255 million smartphone devices. In the last three years, there has been a shift in the landscape that has seen stiff competition come from various smartphone brands; with the Chinese ones being predominant. From 2016, Tecno has steadily been a heartthrob amongst smartphone users and this has seen it take the number one spot as the leader in 2018. Last year also saw Samsung, Infinix, Nokia and surprisingly the high-end Apple become market leaders in aiding users to access the internet and thus sold most on Jumia. Furthermore, the soaring of smartphone penetration has been greatly attributed to the reduction in the average price of smartphones, which has seen a steady decrease over the past years. In 2014, Jumia recorded the average price of a smartphone at 165 USD (approx. UGX 609,906), a value that dropped by +50% in 3 years, to register about 82 USD (approx. UGX 303,104) in 2018. The mobile phone remains the most popular item on the Jumia online store, both in terms of the number of items sold and in terms of the revenue it generates. Other closely popular items are mobile accessories and tablets, with the most dominant regions in terms of mobile phone sales being Kampala, Entebbe and Wakiso. Furthermore, customers are increasingly using their mobile devices to access the Jumia platform to make their purchases. 54% of Jumia traffic is from the Mobile web, while 25% is from the mobile app, resulting to a total of 79% traffic coming from the mobile. The remaining 21% originates from the good-old desktop. The trend is expected to soar with the increased penetration of the smartphone. E-commerce businesses need to adapt to this type of mobile customer, who goes online using a low specification smartphone and does not have a lot of data. Jumia has developed progressive web apps to bridge the gap between conventional web pages and native mobile applications. The result is a lightweight, faster web application that drastically improves the user experience on mobile. For instance, not only will the customers get a faster loading e-shop, but will also get push notifications from it and even be able to browse the shop while offline. Traffic on the website has plunged to 21% over the last year with Chrome being the leading used browser at 43%. This has been attributed to its popularity on most smartphones and desktops. There has been an impressive use of Android Webview at 17 % & Opera Mini at 10%, partly because of the high speed of the browsers.Other browsers used to access the Jumia site account for only 30%. However, using mobile to shop on Jumia has not tallied right with the mode of payment, as the number of customers willing to go cashless continues to be low. 6% of the transactions are done through Mobile Money and 95% through other payment methods (cash or pre-payments). This can be related to the trend of mobile payments in Africa, with approximately 50% of the global mobile money services being in Africa. The countries at the forefront of using mobile money in the continent are Kenya, Tanzania, Uganda, and Rwanda with a tune of 100 illion active mobile money accounts and transactions that amount to $2.1 billion.